As promised in my last post, I ordered up as much of what I featured as I could and I'm back after an epic try on to let you know what it all looked like. It's been an interesting process - so often we bloggers recommend tons of items without actually having seen them in real life and there's really no substitute. I promise to do this more often. First up - the Gap order. From the selection I featured, I ordered the ballet flats, the black cross body and the striped jumper. 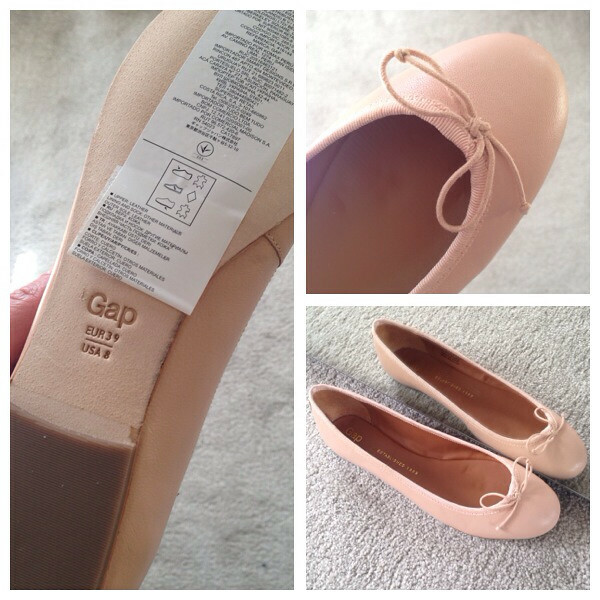 The Classic Leather Ballet Flats are just as lovely as I hoped - the perfect blush leather and it was a lovely surprise to see they had leather soles too. Sadly they come up small and narrow so I couldn't get my wide foot into them :( but this means they're perfect for narrow footed readers - and I know there are lots of you as I'm always being asked for suggestions. They really are beautiful - properly gutted that they didn't fit. 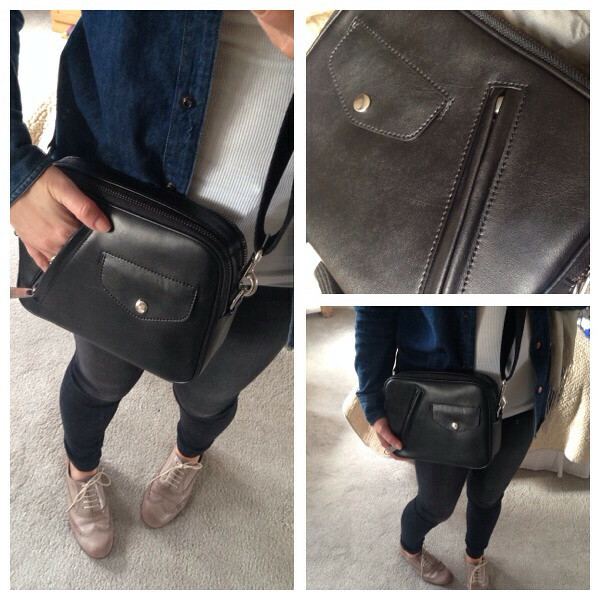 Better news on the black cross body - this is brilliant. It's a great size, lots of practical zipped compartments and it's real leather - all for less than £30 (though I've just noticed that it's back up to £49.95 online now) I particularly like the coin and phone pockets on the front - super useful. The strap is easily adjusted and is comfortable on the shoulder. This is going to be kept for sure and it may very well knock my Boden cross body off its top spot. 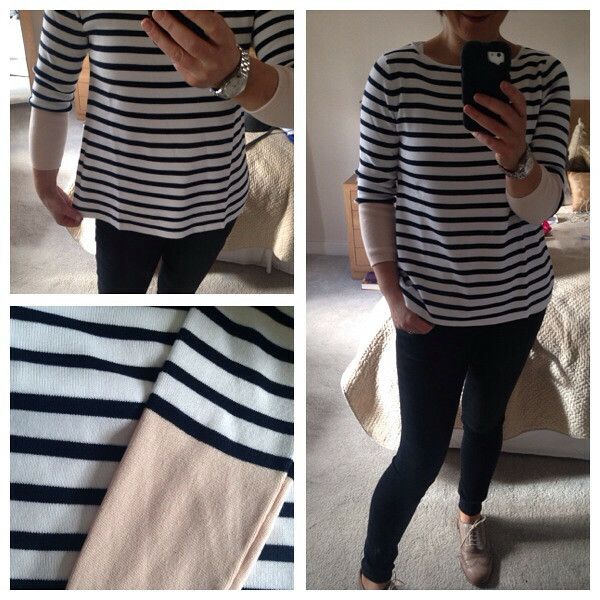 Lastly the Striped Boat-Neck knit - which is exactly what I was looking for in terms of weight and colour. I adore the blush coloured cuffs too. This is the size M and it fits great on the shoulders and I like the length but it kicks out a bit at the hip and I wish wish wish it didn't. It's just not flattering on me. A reluctant return and the search continues. The Johnnie B Honor top was a close contender...it fitted perfectly around the shoulders and arms and is finished really nicely in a lovely fabric but the peplum effect was not good on my pear shape. It just hit me at the wrong place and was too loose. Such a shame. I ordered the age 16 for info - I'm broad in the shoulder so I needed that size up on top. Johnnie B jeans next and I ordered these in the size 30. They're actually not bad - I was able to close them easily so I'd say that size equates to about a 12 but they're more of a square boyish shape so didn't suit my fat arse curves. I'd say they're a relaxed skinny - a bit looser than I like around the lower leg. 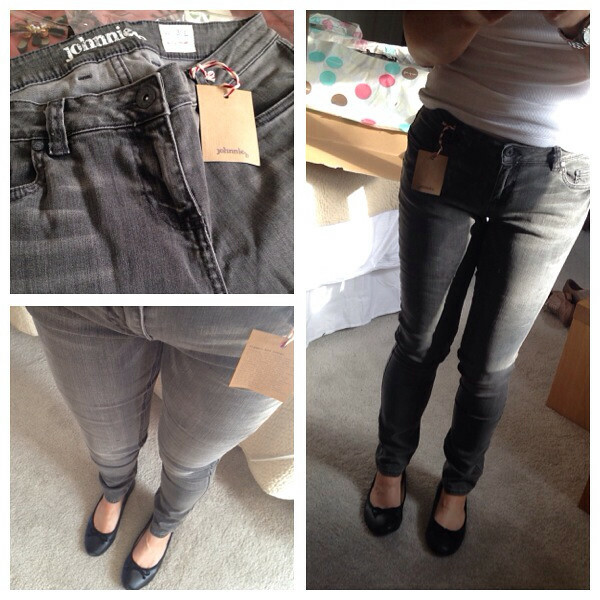 All in all - not a bad pair of jeans but not for me. 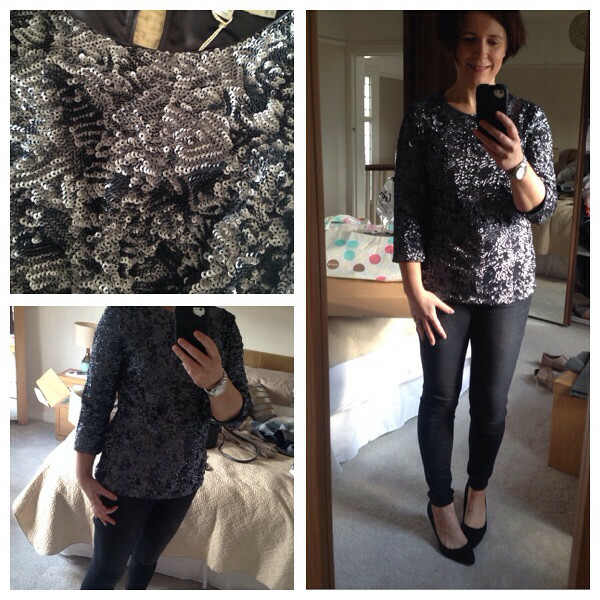 Finally, a couple of going out/dressy tops....and here's where the dilemma sets in. I don't really need going out tops in my life but I really love both of them and they're priced so well...what to do?! 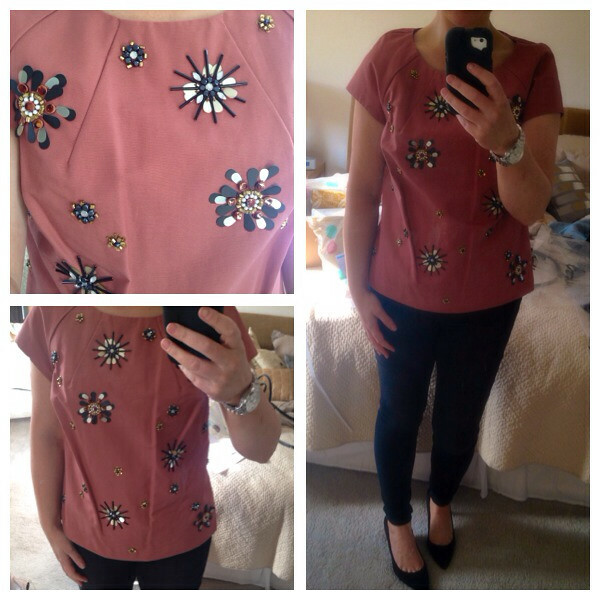 The Embellished Floral Top is the most amazing colour. It's definitely a shade that Donna would approve of! The shape is great too though it may be a smidgen short on my long torso? 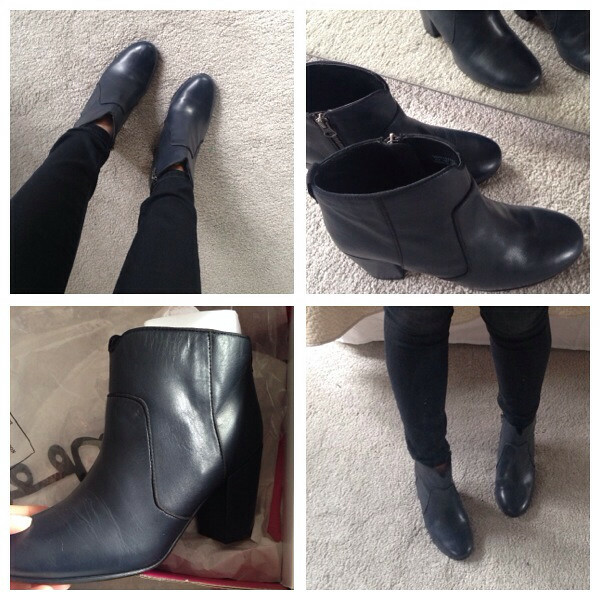 I'm wearing a size 12 and it's a little creased from being folded in the box (which puts me off too). The Perfect Party Top is so well priced and I love lots about it - the longer sleeves, the all-over embellishment, the neckline, the shape. It's the sort of top you put on and you're ready to go anywhere - no major accessories needed. It could be dressed up with a silk midi or pencil skirt for an evening or semi-formal occasion but it will work equally well with jeans or black trousers. I also think it's a top that will work for women of all ages so it's one I'll keep for years to come. Add in the fact that it's less than £30 for all those sequins and they're beautifully applied and secure (if a bit scratchy when putting on and taking off). This is also a size 12. Hope you enjoyed this epic try on - all done after arriving home from a 5 hour trip back up from Tipperary...though I should say I wasn't driving all the time...I had a few stops, including one Retail Therapy one at the Gap outlet where I picked up some fab new jeans - blog to follow! I would love the bag for my trip to NYC but as it's back up in price - it's just too costly. I'll have another peek online for something similar. I love the heavily sequinned top. I'm not a fan of the other one I'm afraid. You did well to try on so much, please tell me it was total carnage to the left and right of you as tried things on??!!!!!!! 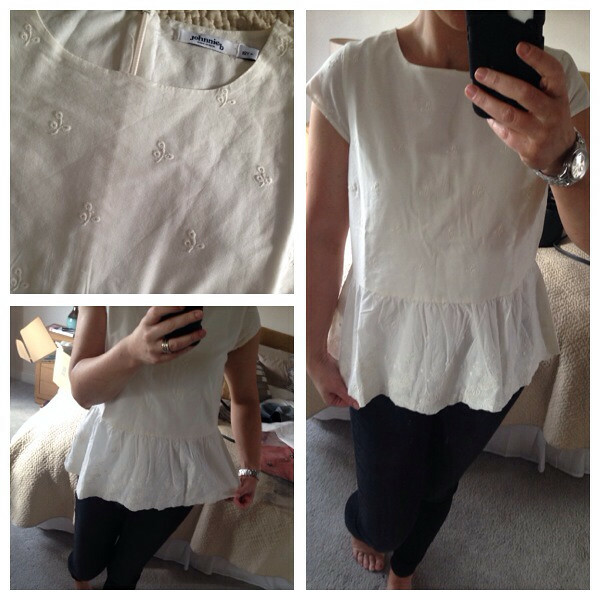 Love the white peplum may have to get that!